First off, thank you to Daisy Whitney, author of the upcoming novel Mockingbirds, for hosting this tour. I'm in the middle of reading this book right now and I'm really enjoying the book so far. It's a great read-especially for girls who need a reminder of how awesome they are. We want to share the girl power with you, so as part of The Cinderella Society Blog Tour, each stop is giving away a copy! What do you have to do to win? Leave a comment with a story/line/quote/thought about what it means to be empowered as a teenage girl. I can't wait to see what everyone says. The winner will receive a copy of The Cinderella Society. And that's not all! The winners from all the blog stops will be entered into a grand prize drawing and the blog tour memebers will pick a winner who will recieve a signed copy of The Cinderella Society and $100 donated in her name to Girls Inc. This contest will end April 28th at midnight Central Time. Must have US address for shipping. Ages 13+. Being empowered as a teenage girl means to stick to what you believe, no matter what others may think of it! 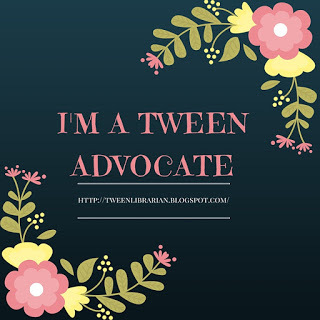 To be empowered as a teenage girl means to always ALWAYS stand up for what you believe in. To always try to do the right thing, and to always, ALWAYS feel GOOD about yourself. Be confident, even if you're not fake it, and it will come to you naturally. Be like Katie Holmes, as she said once "I really can't deny it, I am who I am. I'm pretty normal. I'm not that smooth type of girl. I run into things, I trip, I spill food. I say stupid things... I really don't have it all together." Eleanor Roosevelt has some of my favorite empowering quotes. Being empowered means to take control of your own life proudly, in my opinion. You may need help, I'll admit, but you also need strength. You must have strong will and stick to what you believe in. You shouldn't sway your opinion, no matter what other people say about it. Plus, you always have to feel good about yourself. Walk down the hallways with your head held high and don't let anyone bring you down. Stay strong, believe in yourself, and don't be afraid to ask for help. That's what I think empowerment means. Can I give in another quote? It means to be like Princess Mia in The Princess Diaries [Meg Cabot].